In this unusual book, part love-story, part coming-of age story, and a combination of memoir and fable, Jane Rosenberg LaForge interweaves two narratives. One is a tale of the forbidden love between Jenny, a mysterious dumb orphan and Samuel, a young blacksmith, living in a Renaissance-style fantasy world riven by politics, war and intrigue. The other is a wry, poignant and often bitterly funny backwards glance at the author’s own experience of growing up in Hollywood during the sixties. It, too, is ultimately a love story. The first is a tale of redemption, the second of failure: and turn by turn, passage by passage, as each narrative interrupts the other in layers of commentary, the effect is a contrapuntal dialogue between fantasy and memoir. LaForge is a poet, and in the passages of ‘True Fantasy’ her prose is laden with sensuous poetic imagery. Samuel the blacksmith eats ‘tiny red tomatoes that fell on his tongue sweetly and with a spark’; when he and Jenny make love ‘she was liquid in his hands; she was sand; she was the raw stuff – the spines of last year’s leaves, stems and roots – the tillable riches of the earth.’ It has to be read like poetry, I think: slowly. By contrast, in the ‘Fantastical Memoir’ the style is austere and autobiographical (and some of the cultural references pass over my British head). But LaForge mercilessly pinpoints the awkwardness, difficulties and perceived failures of a teenage self desperate for the trappings of success – clothes, joints, a date for the prom, a proper boyfriend and above all a role at the fashionable Renaissance Pleasure Faire – and who feels certain that everyone else her age is prettier, sexier, and having more fun. As the respective love stories approach their culmination, the two narratives gradually collide. 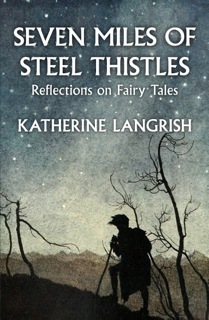 In the fantasy, Samuel the blacksmith’s boy owns up to and takes full responsibility for his love of Jenny. But in sixties Hollywood the young LaForge is unable to deal with the reality of her boyfriend’s illness. 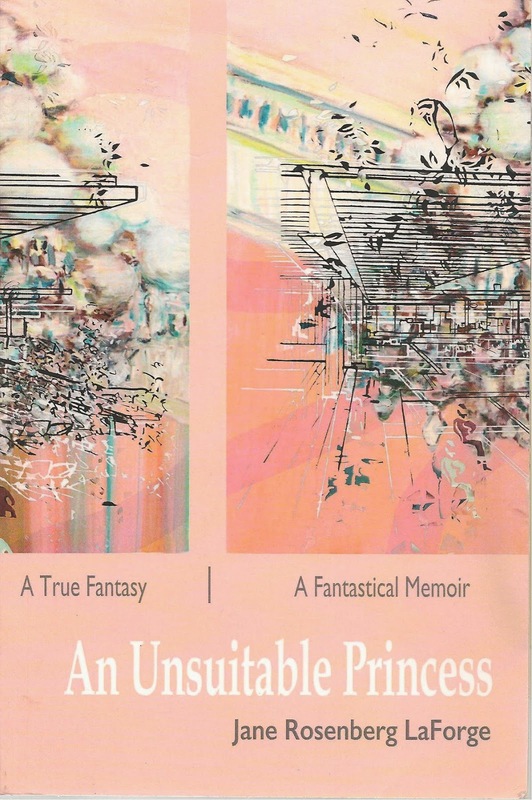 ‘An Unsuitable Princess’ isn’t children’s or YA fiction, I should make clear. Not because of anything unsuitable about it. 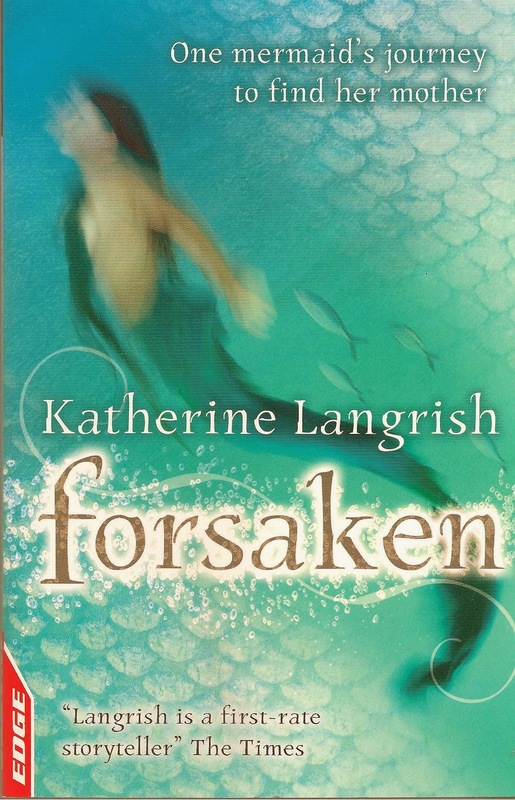 But at a time when YA literature is full of romantic young teens romantically dying of romantic cancer, LaForge honestly charts her own inability even to know what to say to a dying boy – her apparent callousness, a mixture of fear and denial – and ultimately the exhaustion, guilt and shame of grief. She is very hard on herself. This book isn’t an easy read, and the prose is occasionally a little laboured, difficult to get through. But persistence brings rewards. There’s plenty of shrewd, dark humour that made me laugh – such as LaForge’s frank admission of the thrill a teenage girl can get out of discovering she is admired even by older and unattractive men: it’s all so new: ‘A letch, by definition, is overly keen to notice the wiles of a seventeen-year-old girl, but I was overly keen to be noticed. I became an object, possibly blunter than most, and as the weeks went by I felt I no longer had to feign a personality to attract attention.’ And in the fantasy, the lush prose brings moments of delight, as in the passage when Samuel declares his love for Jenny: ‘everything around them, around her, felt stunningly promising, as when the air is first kissed by a storm.’ In the final chapters, the fantasy melts away into the thin air that perhaps it always was, and the ending is poignant and true. This sounds really interesting - thanks for bringing it to my attention! this sounds astonishingly different and wonderful. The coming-of-age narrative combined with fantasy-one of my particular interests. Thank you for writing about it.